I was looking for cookie ideas online, and I found this wonderful post on Sweetopia and just had to try and make some. I am so pleased with the result and I will surely be making more of these and adding spiders and such. I followed the 10-second rule to get the best consistency for the icing for decorating the cookies. I like to outline first and then immediately flood the cookies without leaving a visible outline, and just using different tips it is easy to achieve when the icing is of this consistency. 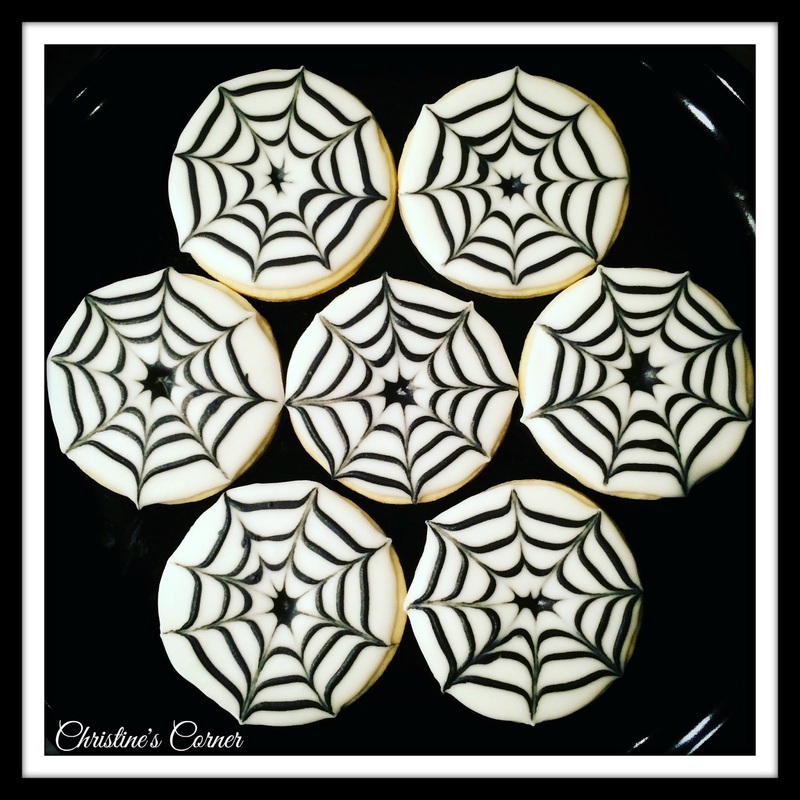 One thing I was reminded of whilst making these cookies is to always use disposable bags, because washing the piping bag with black icing in it was all kinds of messy... ; ) This is a fun way to make a dramatic looking cookie and I just love the technique. You just have to be quick and concentrate on one cookie at a time so the icing doesn't dry either too early on the cookie before the second colour is added, or in the piping nozzle. Seeing a spider isn't a problem. It becomes a problem when it disappears.